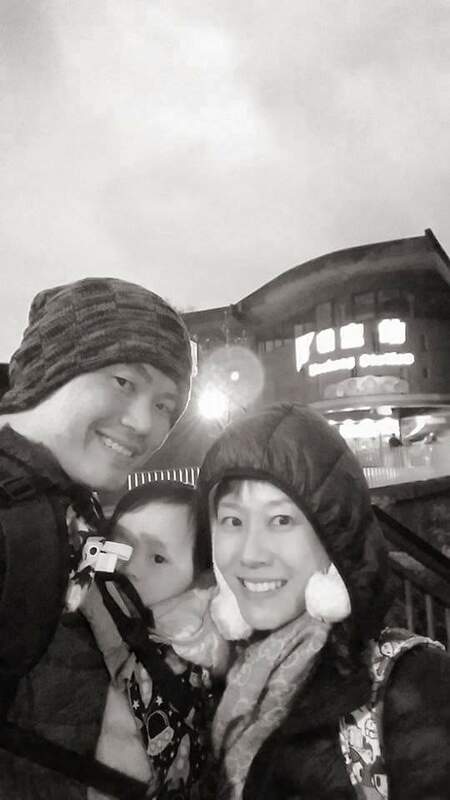 What were you doing on 23 Nov 2015, the day the poor 2-year-old finally closed his eyes for the final time? Seldom does a news article make me cry streams of tears. This ST article did. As I read the horrorific account of two-year-old Mohamad Daniel Mohamad Nasser’s ordeal, what he had been put through until he finally closed his eyes on 23 Nov 2015 and gave up life, I cried so badly. As I write this, there is a sad pain deep inside me, and a lump in my throat. Two years old. That’s 24 months young. Kicked, punched, systematically tortured over 5 weeks by two crazy, sadistic monsters, one of which is his own mother. Halfway through the article, I hugged my Little Foot who was sleeping soundly and cried. We’ve had such a happy cosy life together over the past 18 months, that I cannnot imagine that while we were happily going about our lives, someone not so far away was probably crying in vain for help, slowly dying. According to Facebook, I had come home to hug my Little Foot happily after work. 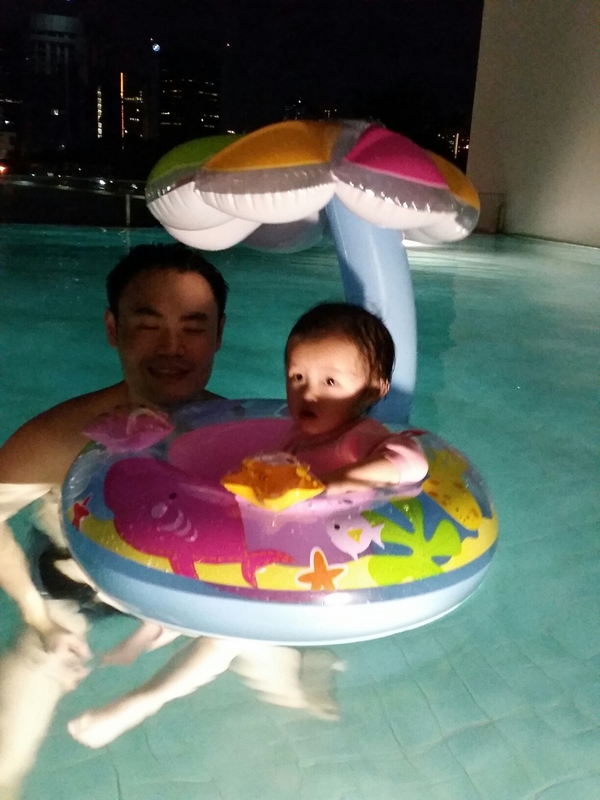 The day before, on 22 Nov 2015, we were home after our Punggol Waterway stroll and playing at home. 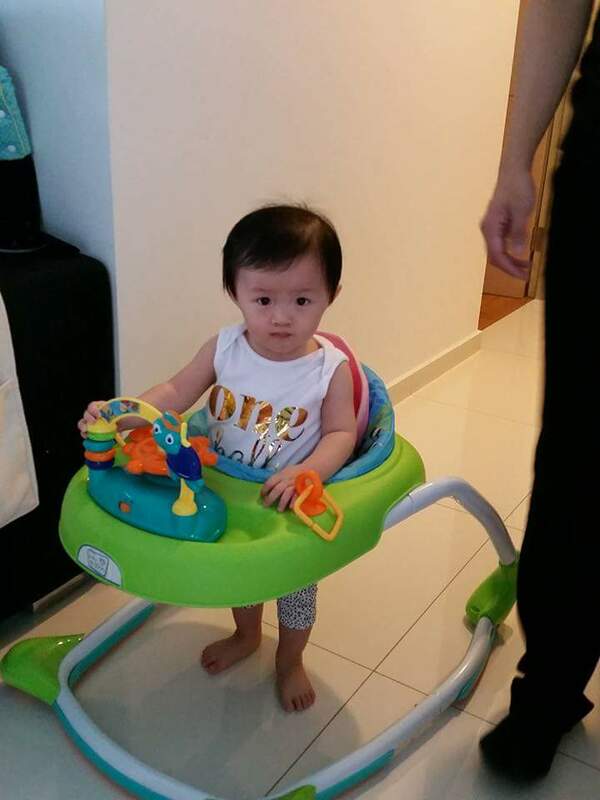 Papa had set up a new toy walker for Little Foot. In the meantime, somewhere in that one-room flat Daniel was nearing his death, forced fed dried chilli, kicked and slapped…head hit the ground. His little body exhausted, badly beaten, his heart, soul and body broken. He closed his eyes. It is when you look at that point in time what you were doing while a little boy not too far away was suffering and dying, and knowing that till the last breath, he was denied the love every child deserved from their own parents, that his short life was filled with cries and not laughter, that he died broken-hearted that it really hit home so hard. It’s like someone punched me in the stomach. At this point, in the dead of the night, I started to question my own faith. God, why did this happen? Why Father, why was such a woman blessed with so many children, while many others wait in vain for a little one to have, to hold, to shower with love? Why was a little boy brought into this world to suffer so helplessly and die such a painful death? And he died heartbroken, unloved. She killed her own child slowly and painfully. As a mother, it really ached my heart so badly. Even if life was hard, why take it out on your child? Why have him in the first place? As a society, could we have done more? Could we have done differently? Could we have saved Daniel the pain and the eventual death? 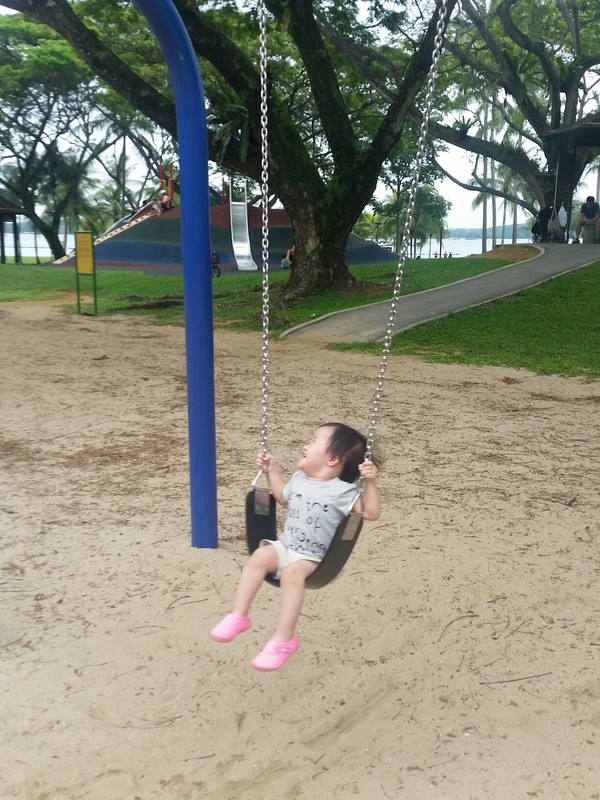 As we go about our ordinary, lives as average Singaporeans, happy to go about our own business, could we have done more for children born in such environment? And our laws, I am not legally trained… but I do wonder why a 5-week campaign of abuse that culminated in death was not considered murder. In the end, all that we say is just empty echoes in the night… all the “what ifs” left unanswered. Because Daniel is dead. I have not known you, but my prayers are for you tonight… may you rest in peace in heaven, home by God’s side, safe in His arms. No more pain, no more sufferings, no more tears. God loves you, even if on this earth, you never felt any love. Rest in peace baby boy. Rest well. We said goodbye to you. It actually feels like I said goodbye to my 20s, goodbye to my youth, goodbye to a truckload of memories. Natalie was my first ride, and I collected her just before Valentine’s Day 2007. I bought her right after I got my licence, and being rather young (and poor), it was a weekend car. Then, Papa Long and I were getting closer as friends… shortly after, we got together. So as a couple, with our little car, we went on many adventures together in the five years we dated. 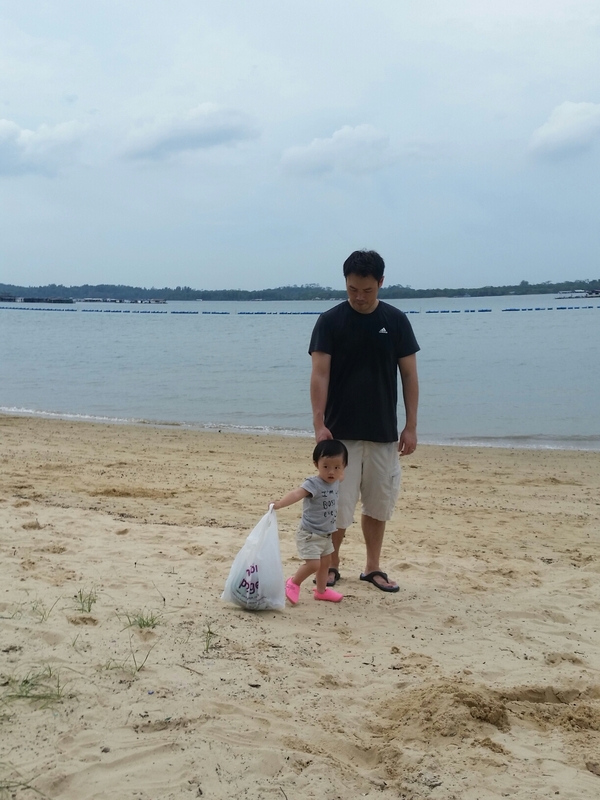 We went for dates to the beach, picnics, kite-flying, fishing (once), cafe hopping, cycling… having a car, even if it was “just a Korean car” made many things possible. We could get to ulu places, go for many prata supper sessions at railway mall… hang out without worrying when the last bus or train would run off. For a working couple who were busy chasing our careers, having a car for the nights and weekends were good. And it wasn’t as expensive as now. Natalie was the pet taxi for our dear Old Pico when he was alive. I still remember how I couldn’t parallel park, but because he was bleeding from a dog attack, I zoomed to the vet and parallel parked in a blink without thinking much, because I was in such a rush to get him treated. 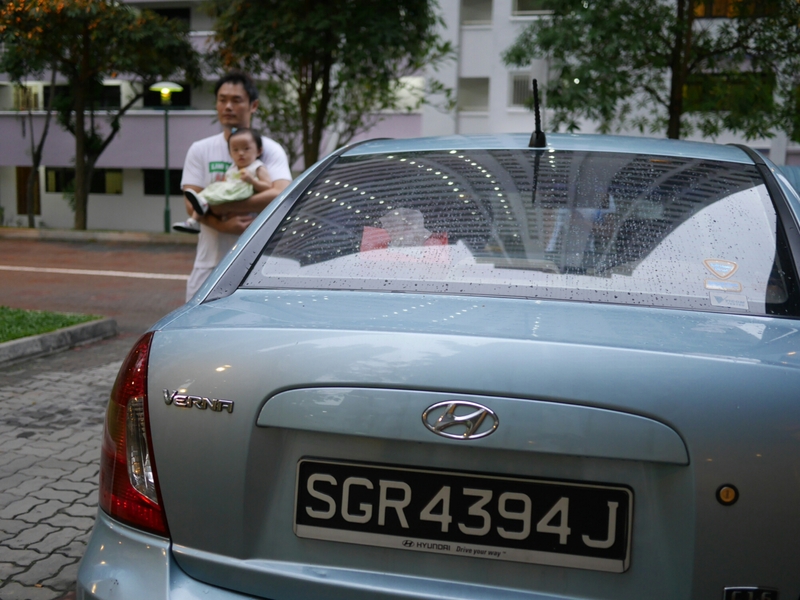 Natalie was also the car that drove Pico out for his last outing to Bishan Park. Having a car made road trips up north possible — Malacca, Port Dickson, Sunway Lagoon, and the furthest was Cameron Highland (so memorable!) Of course not forgetting the many supper trips to JB for Lok Lok which I always craved. 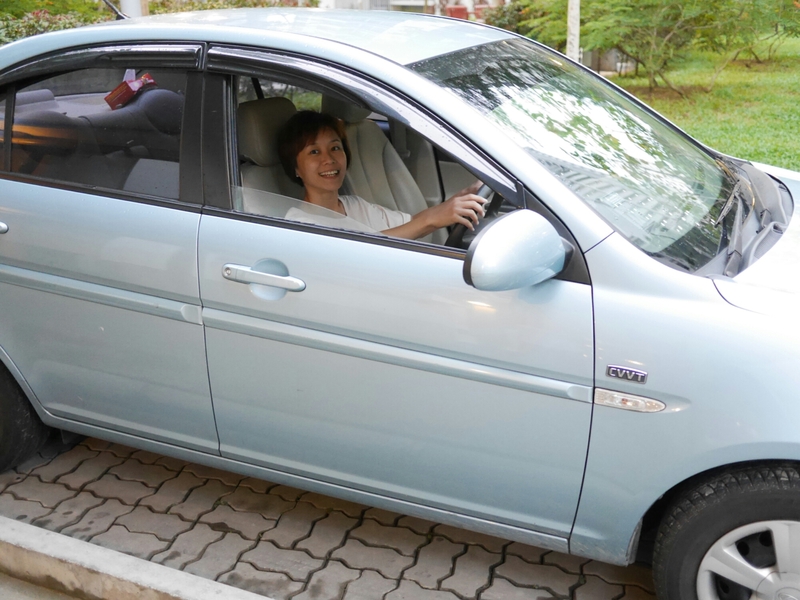 When we prepared to get married, the trusty car ferried us to get everything ready…. I still remember the numerous trips to the bridal studio. 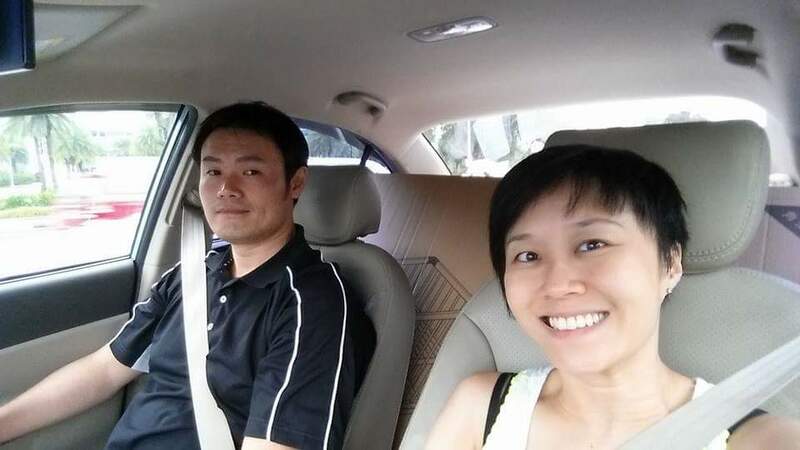 When we were furnishing our little home, we drove up north to buy lights in the car, drove to industrial places to look at furnitures, went to Expo sale many times to see appliances. 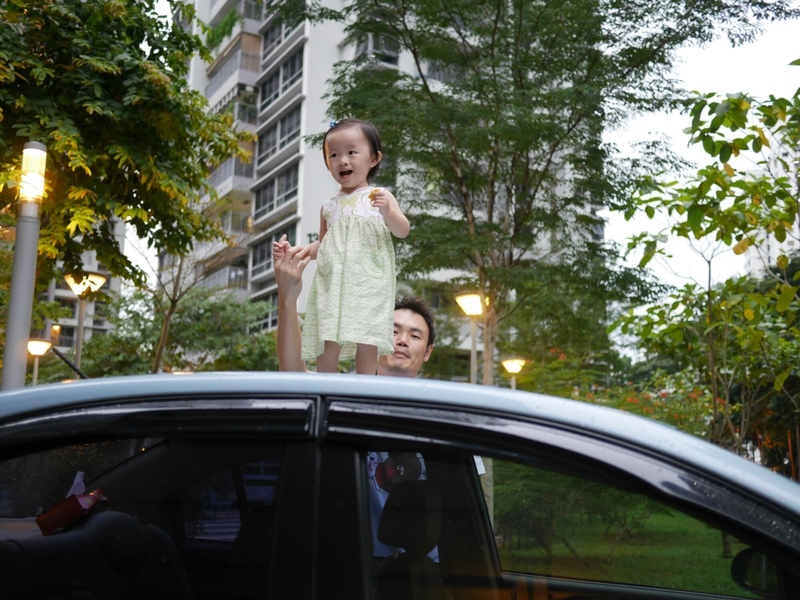 Every weekend, adventures begins when we hopped into the car. Papa Long with Natalie in the background, carrying the first stroller we bought for Little Foot. I was 9 months pregnant. I still remember how we stuffed the car to the brim to cart all the purchases at Mummy’s Market home from Expo. I was nearly 8 months pregnant. All the things in the cot and the cot itself could fit into our car! 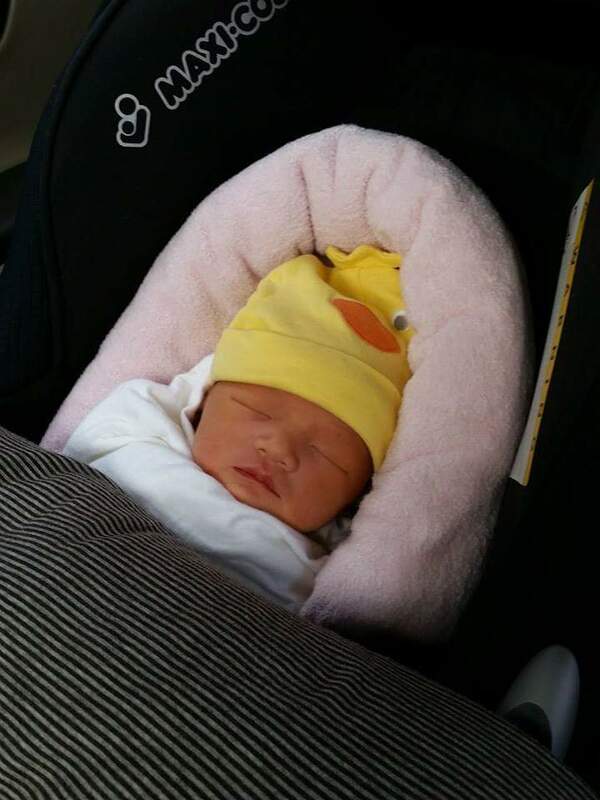 The day Little Foot arrived, we drove Natalie to KKH in the morning with a maxi cosi carseat in it ready for her. And so, Little Foot took her first car ride ever in Natalie. 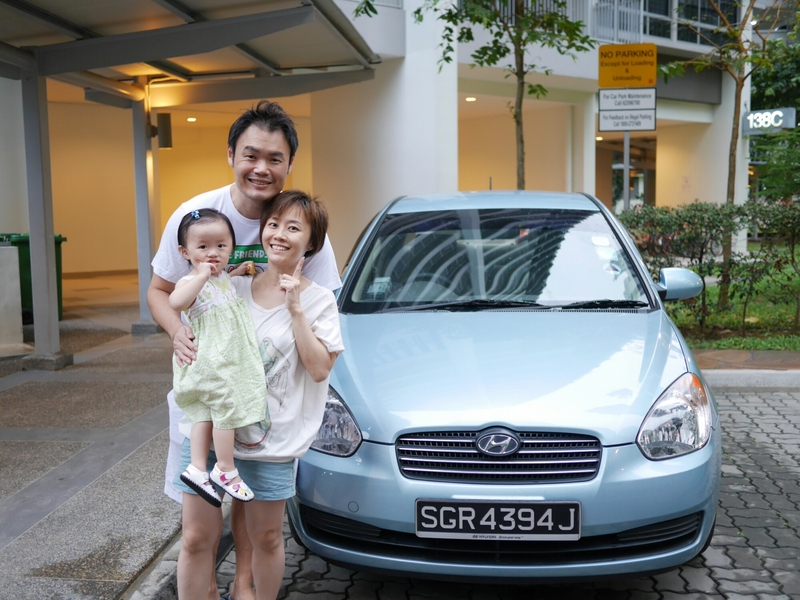 We converted the car to a black plate car and during my stint staying at home with Little Foot, I would drive her around – to playdates, to the PD, to KKH, to the Polyclinic, to Yu Guo for TCM massages… some days when I needed fresh air, I would drive out for a coffee or lunch with my mummy friends. 9 years and 5 months from the day I drove her for the first time, we said our goodbyes… I hear she would still be on the roads. In a way, I’m glad she isn’t going to the scrapyard, but I still feel sad she’s not mine anymore. 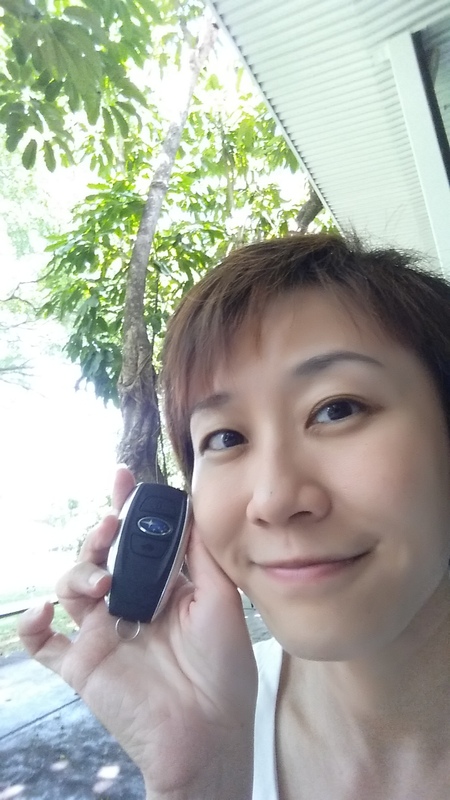 Today, we collected our new car. It’s flashier and with a lot more horsepower (TURBO WOR!) More importantly, with more space to accommodate a family. We are happy definitely (although that created a dent in Papa Long’s piggybank), but can’t help feeling like something is missing now that Natalie is gone. The first is always the hardest to let go I guess. Goodbye Natalie….Thanks for the memories. Without you, maybe I would never have been able to be a real driver. Without you, maybe this family would not be here. May we meet again, my dear Natalie. It has been a great ride, hasn’t it? Last day before Little Foot goes to school. Last day of morning trips to the playground with the swing for her. Last day of carefree life. By chance, I had time to have a lunch date with her today. 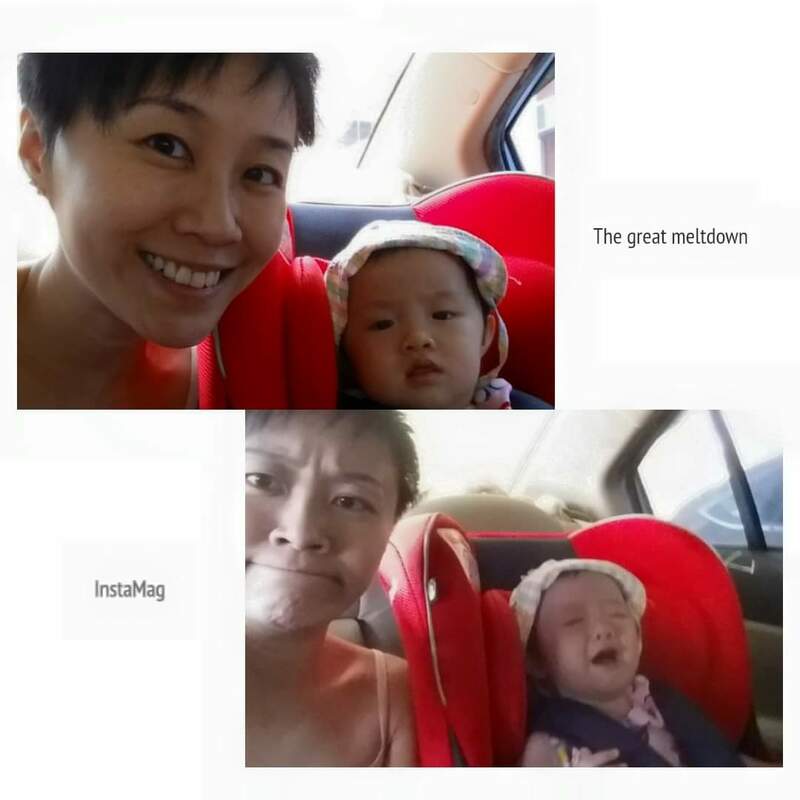 Mummy having mixed feelings. Are we ready for school? Her gear are almost all ready, but my heart isn’t. I look at the little baby self-feeding sushi to herself and I feel like my heart is so heavy and I’m about to burst into a puddle. Little Foot doesn’t seem to know what is coming although I have repeatedly told her that she’s going to school. School is too abstract a concept for her. I hope I don’t get all cold feet and pull her out of school tomorrow. Really need to psych myself. On a happier note, we had fun at lunch. 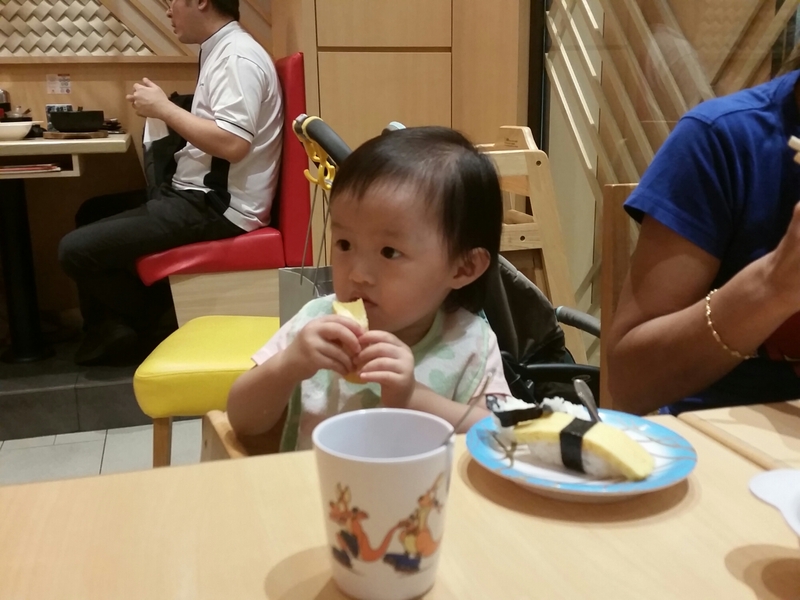 She really ate a lot – rice salmon, chawanmushi and tamago. All the things she liked. It reminds me of my first week back at work, when helper brought her to meet me for lunch. We also ate Japanese food. Let’s be brave. Mummy love you. This week, Little Foot turned 18 months. 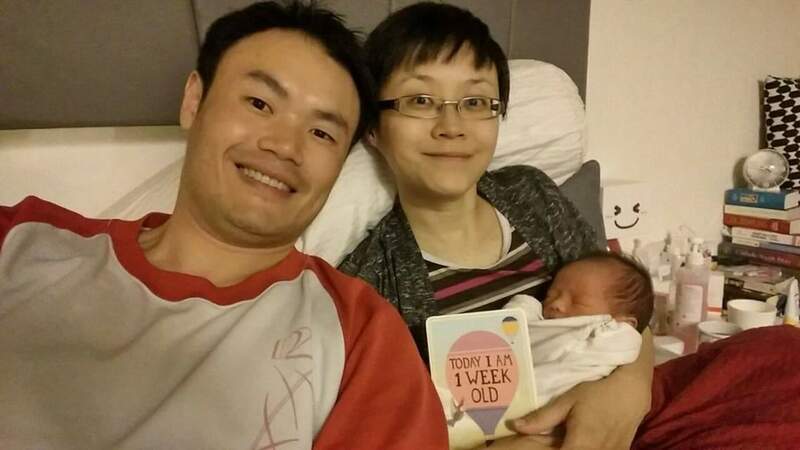 Officially according to the authorities (ECDA specifically), this means she’s no longer an infant. As the curtains come down on our infant journey with our firstborn, Papa Long and I have been randomly looking at old photos and video clips of Little Foot’s growth…. … to the little “Flower legs” who cafe-hopped and travelled with us. Slowly and steadily, she has grown and sprouted without us really realising that the metamorphosis had happened. There are days when I marvel at her witty and charming ways and days that I am caught in situations where I don’t quite know how to deal with the tantrums and stubbornness. Life is busy because you are around. You fill up the hours so quickly when we are engrossed with being with you. Days turn to weeks, and weeks turned to months as I hurry along each day to get work done and get home to you, and we countdown to weekends so that we can be plastered together for 2 whole days. And here we are, at this major milestone. Next week you will go to school. It will be where you meet your first friends and teachers. It will be where you realise that there are more people to hold dear than these three people whom your life has revolved around for the past 18 months. I hope school will be fun for you… I hope that you will still retain your sense of adventure even as we place you into a system that may try to mold you while it tries to help you reach for the stars. I fear. I fear that the system may mold you into something you are intrinsically not. I fear. I fear that the system may lead you away from what you love to do, to what the system would like you to love to do. I fear. I fear that I may resent how the world may show you that you are not special, but I know I have to let the world teach you that the Sun and Moon doesn’t revolve around you. As your parents, we can only keep reminding ourselves not to get lost and blinded by the “competition” in the system… to place your happiness and welfare at the centre of it all… to guide you to be the best that you can be, to love God, to love life, to be kind to others, to celebrate simplicity….to help you reach a purposeful life. I use purposeful, not successful. That I feel is how one should live….. yet these are early days, I just pray not to get too caught up in the race. My dearest Baby Pie… I am grateful you continue to have complete faith in us, knowing we will catch you or pick up when you fall. I am grateful that you still get upset when I leave you for work each morning. I am grateful that you still exclaim in sheer delight whenever we appear at the front door after a day at work. I hope you will always know that we are here for you with open arms and open hearts. Happy and Blessed 18 months my dearest only child. It’s been a fulfilling journey being your parents. May you always find joy in simple things and enjoy good health too. May you never lose faith in yourself, us and God. May you always carry your tenacity and that happy smile with you in life. Remember, we will always be here to hold you, to catch you if you ever do trip up. Have no fear and soar like the Eagle, up up in the sky! We love you forever and always. 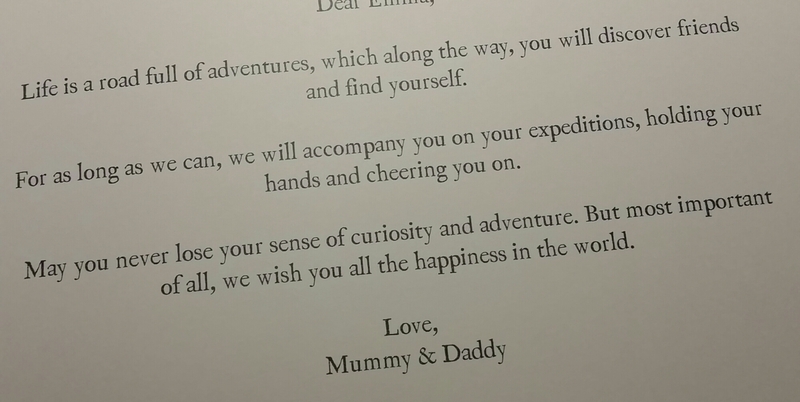 Thank you for making us your Mummy and Daddy…. you were the most perfect in our eyes from the first time we met. 5 Tips to raising a bookworm baby! I come from a family of bookworms. From the day we could make sense of words and sentences in books, my siblings and I, we would read everywhere. Yes, everywhere – from the bed (very bad for the eyes I know) to the dining table to the sofa, and one even reads in the loo! Every new Harry Potter book release, you would see the book inserted with several bookmarks, and the situation of one of us trying to pry the book from the other with “eh… my turn already lehhh…”, and tantrums flying. This love of books, I think we owe it to my eldest sister. As younger siblings, we emulated her. As to why she loved books, we didn’t quite know how it started, but boy, did she read a lot and very fast! My parents don’t read, but we have an uncle who was a teacher, and I think it was he who gifted my sister books by the sets (like a complete set of ladybird books, a complete set of Hans Christian Andersen books in big prints). And we had another uncle who used to own a business selling Encyclopedias (thick and heavy physical books before the time of computers, Google and Wikipedia). So that set a nice tone to kick-start a lifetime love for books. I carried this love into adulthood, from history to philosophy (Ok, I tried and these really gave me a headache), to biographies, to fiction books (thrillers and chick lit), I read leisurely. Every holiday trip would see me pack a few books for the flight. I read “Marley and Me” and “P.S. I Love You” first before the movies were even released, and I cried reading them. Words brought me into a whole new different worlds, set my imagination alive (I am reminded of Enid Blyton’s “The Magic Faraway Tree”), taught me experiences and live values through people and the characters in the books. I wanted my Little Foot to fall in love with books too, and open the windows into all these other worlds and perspectives out there. In this digital age, introducing books are a lot more challenging than during my childhood days. Toys sing, books sing too, there’s YouTube and there’s TV. Boring old books are just not as attractive comparatively. Despite all these, I think we are making good headway, and these are some of the things I have done to inculcate the love for books and reading. I’m not sure if it will be a lifelong love for her, but at least, I think I’m trying and making good progress. I have been buying many many books for Little Foot. I Make the house a place where books can be found anywhere and everywhere, pulling books randomly to read a page or two to her, since she was newborn. I recall how I frantically waved the Black/White/Red Picture book in her face when she was a few weeks old (because in my post-natal madness, I had this crazy thought that maybe she can’t see). I recall all the board books that she would grab over from me and take a few chomp on. I recall her chewing off one corner of a flashcard. I recall the first time I was over the moon because she sit there and listened attentively when I read “Sneezy Wheezy Mr Shark” to her. That was the first book she allowed me to read finish and laughed happily along each time Mr Shark sneezed (the book has a hand puppet attached to it). 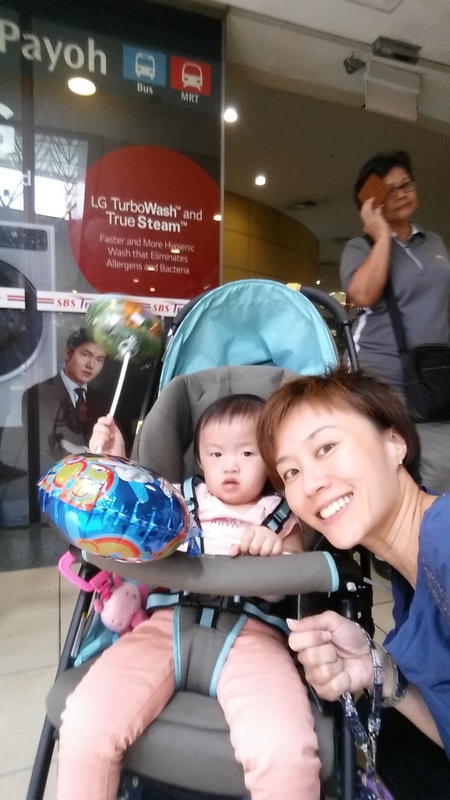 My Greatest Child located at City Square Mall, and a new outlet recently opened NEX Serangoon. They also regularly hold roadshows at Safra clubs. Follow them on Facebook for the updates on roadshows. Book Depository is the best for the busy parent, and carries all kinds of books for adults and children. Browse the site, pay by Paypal and get the books delivered to your door, I find this the most fuss-free, and the prices are reasonable. It is also the best if there is a particular book you wish to buy and can’t find in a brick and mortar shop. Popular Bookstore, the homegrown haven of assessment books. Everyone knows this one, since this is the go-to for our schoolbooks since the 80s. Baby books are not organised well, but sometimes you could find some treasures if you dig around. I like that they carry a wide range of Chinese books, and there are so many outlets in the heartlands. Don’t just cart out the books from the storeroom when you think “it’s reading time” after weeks or months have passed. In order to make reading regular and a normal activity, it again points back to my first point, make books readily available around the house. You and baby can take turns to choose the books, and vary the books. I am still trying to make it some sort of daily routine, but as a forgetful and very random/spontaneous person, this is not second nature to me. So I am still very much the “Oh, here’s a book, do you wanna read?” kind of random parent. I read from this a Mindchamps Article about creating a comfortable reading space for the kids. Agree, agree, and agree. I used to lie on my bed and read using a bedside lamp. That was the reading space I created for myself. For Little Foot, I hope to instill better reading habits. A couch or a beanbag in a cosy corner with good reading lights. That will be on our to-do list when we spruce up our living space next. For now, we usually read with her sitting on my lap with my arms around her on the playmat or on the couch. She likes that she’s spending time being plastered to me. In essence, I let her feel that it is a safe and enjoyable haven. I observed that there are some things that Little Foot likes to do more on certain days. “mood for books” day is not everyday. Babies and kids, just like adults have moods too.There are days when our little ones are not in the mood to read. They could be in the mood for running around that day, or in the mood to sing and dance to baby music, rather than sit down with a stack of books. Read their cues. I celebrate each time I catch Little Foot in her “mood for books” day. On days which she’s not interested and I find myself reading to the furniture in the room halfway, I try not to beat myself up about it, or worse, get exasperated. We can try again tomorrow. After all, I’m the “tik kee” (steel-teethed) child who likes to purposely sing the opposite tune and refuse to do things that I am forced to do, so I expect my Little Foot to be like that too. Don’t just go to the shops and grab the books on your own. 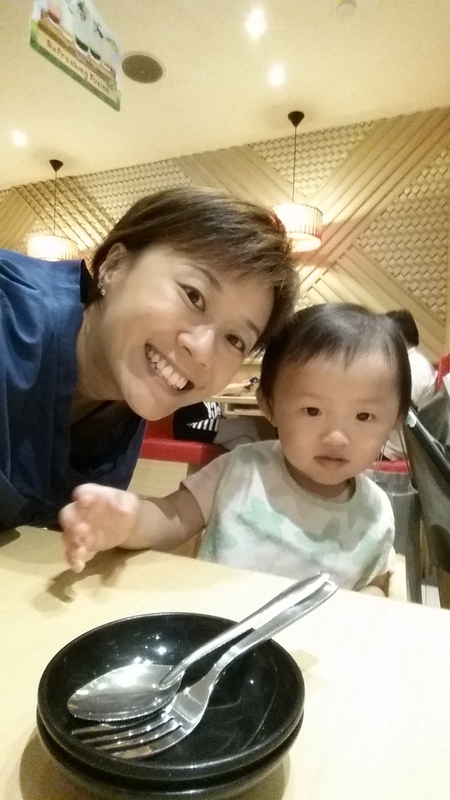 Make it an outing with the little one. I sort of let Little Foot choose the books. For instance, at the stores, she would pull at books and I would ask her “You like this one? Mummy buy?” or I would offer her two or three options and ask her to choose. I do the same at the toy stores, so she would associate that these for her, not for Mummy. I have been meaning to visit the library with her, just haven’t got round to it, but I do believe, that a visit to the libraries would be beneficial, especially now that she is older. My only concern was that she used to chew on books and I am not quite sure the books, meant for everyone, are safe from her jaws (and also if they are safe for her to chew, having gone through many hands). It was only at eight years old that I started reading. I had pulled a Ladybird book off the massive shelves in my house one random day, wondering if I could ever be able to read like my sister. That moment, the words strung up, and the stories flowed off the pages, I never looked back. I finished all the ladybird books in the next few days, moved to the Enid Blyton books, then Roald Dahl, then to the thicker books that were on the shelves. So never put the child down if he/she doesn’t show any interest in reading. Sometimes, it just isn’t the season for books yet. The idea is to create easy access to books, and set a good example. These days, Little Foot randomly flips a book called “Super Baby Food” before bedtime as it is on the bedside table, as I’ve been randomly flipping through the book to read on what are suitable food for her age and to get ideas on what to feed her next. P.S. Did you know there is a National Reading Movement? National Reading Day is on 30th July. P.P.S. 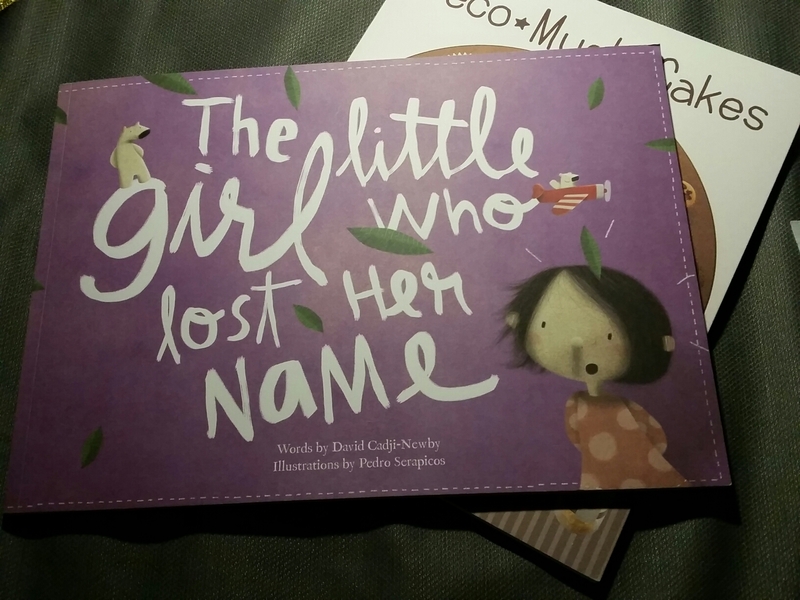 I will be reviewing some interesting books for kids in the coming months. Stay tuned! Now that I’ve been a mummy for nearly 18 months, I thought it’d be useful to list down the must-do, must-try “IN” things for new mummies. These are things that fellow mummies seem to get rather enthusiastic about, and others don’t quite understand why (daddies included). 1. Get a fancy baby carrier or wrap! Definitely, on the top of the list is babywearing. Afterall, I recently counted nearly 20 carriers in my possession (yep, this mummy went overboard during my stay at home days), 3 wraps and 2 ring slings. If you want to be a fashionista mama, get a Wrap Conversion (WC) Tula, or get one of those fancy clothes for babywearing (we call them wraps). Only available on their US site. 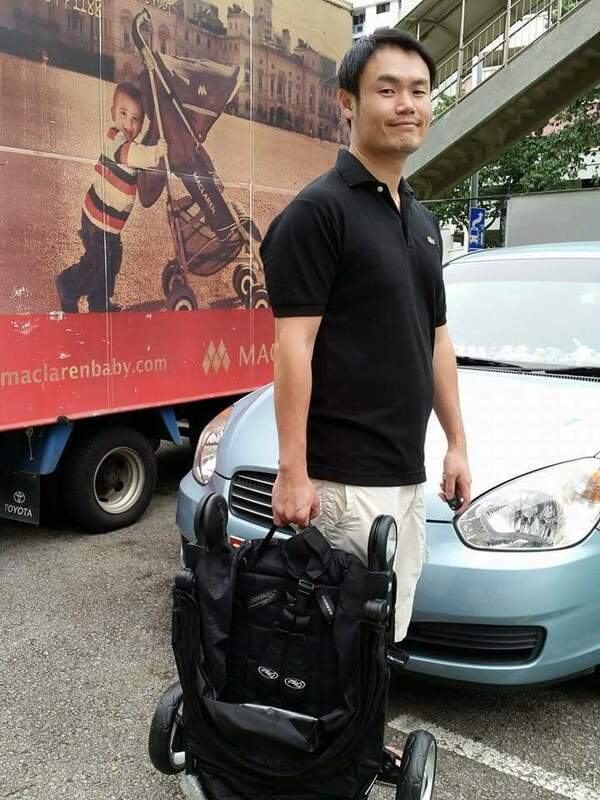 Not so long ago, mummies were using carriers like the Baby Bjorn and Ergo…then people started to complain that the Ergo wasn’t good enough for heavier older babies, the designs were boring etc etc. And along came a whole new breed of carriers – Tulas, LennyLambs, Kinderpacks, Bamberoo, Madame Googoo. These boasted better cut, deeper seat, more comfortable babywearing, and yes, they came in toddler sizes too. Most sought after here is the Tula. It is relatively easy to find a canvas one. Just go to one of the local retailers, they will have them. The one that will make you feel like you’re carrying a Prada /Hermes bag (even though you are haven’t really combed your hair or you are again wearing that same old Uniqlo airism bra top) is a wrap conversion (WC) Tula. These are made of the special (read branded) woven cloths that are good for wrapping, and very limited in production. In other words, they don’t come cheap. Thankfully for the newbies, the resale market is coming down to sane prices now, although just this morning, I saw a used one going for a jaw-dropping US$4K. Here’s us in a wrap, and here’s Papa Long in a WC Tula. You can also read about my early day reviews of carriers here. Find the Tula too mainstream? check out the hard to find Kinderpacks or the sooooo soft and fluffy LennyLambs. For me, it’s a tie between the Tula and the Kinderpack. If you want to walk the path less travelled, go for the wraps. I personally find it too complicated and Little Foot is not a wrappable baby. P.S those cloths don’t come cheap, but they guarantee that they won’t rip under the weight of your baby! 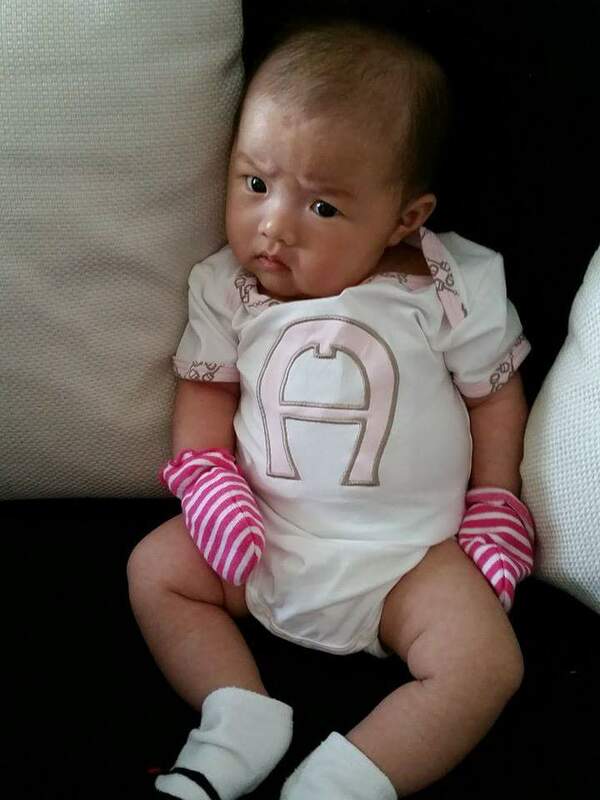 Once you babywear, be prepared to attract the curious people’s attention. 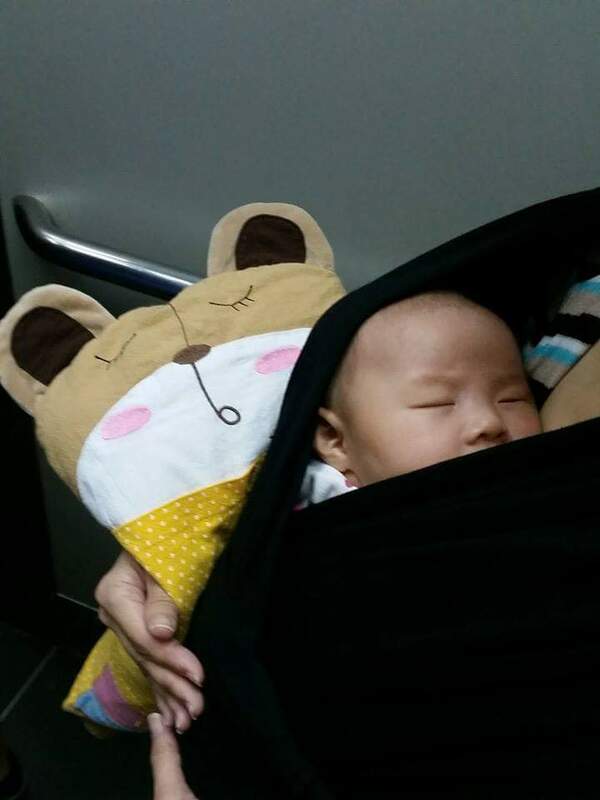 In our earlier days when I used to venture out with Little Foot on the MRT alone, I have had strangers coming to try to peep into my carrier, curious to see what’s under the hood (hello-oh, of cos is a baby lah!). Occasionally, I have had some strangers come up and ask me, if it’s ok for the baby to be inside the pouch. 2. Not any diaper bag. Get a Ju-ju-be Bag! Our first diaper bag was a plain grey bag sling with fuchsia trimmings from MAM. It worked for us well, until I noticed how some mummies in my group would go absolutely mad over a certain brand called Ju-Ju-Be. Curious, I went to kaypoh a little… and then I got hooked (Papa Long wanted to knock his head against the wall) buying the various shapes and sizes. Being a Tokidoki lover in my younger days, I’m a like “WOW! 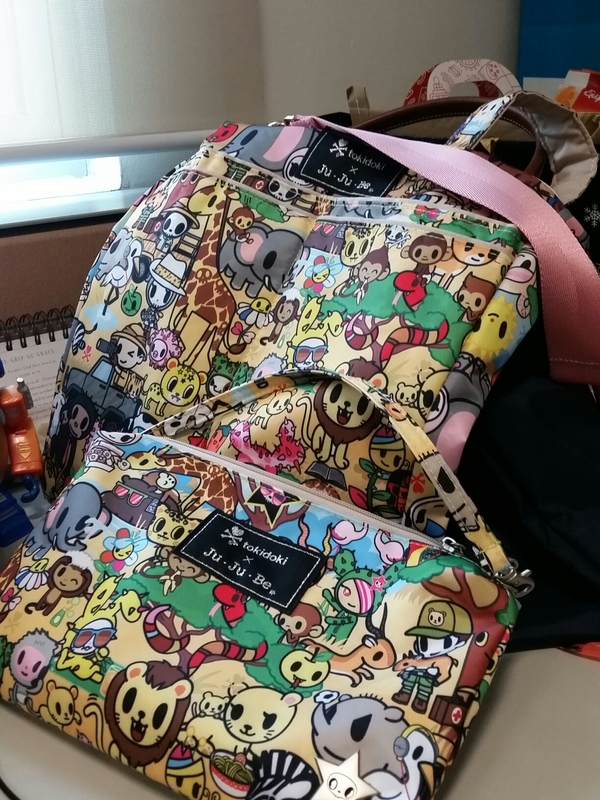 Tokidoki diaper bags!” Like the WC Tulas, the supply seemed to be way short of the demand, so there is also a resale market. A bag at resale could double the retail price (don’t ask me how that works. That’s how the “buy sell trade” market is!). I’m not going to say how many JJB bags I have. Too many. Period. I even bought the Minibes (Mini backpack), just in case Little Foot wants to carry one to school in the near future. Jjb mummies love taking pictures of their bag(s) of the day. Diaper bags are no longer uncool! Don’t say “Eeeee! !” ya? I know it sounds strange to want to make jewellery with your breastmilk as contents, but for some who are a little morbid like myself, I did think it was a good idea. A momento for my Little Foot, just in case, you know, I’m gone one day. Again, don’t say “Eeeee!!! !” Breastmilk is one of the best “lotions” for baby. 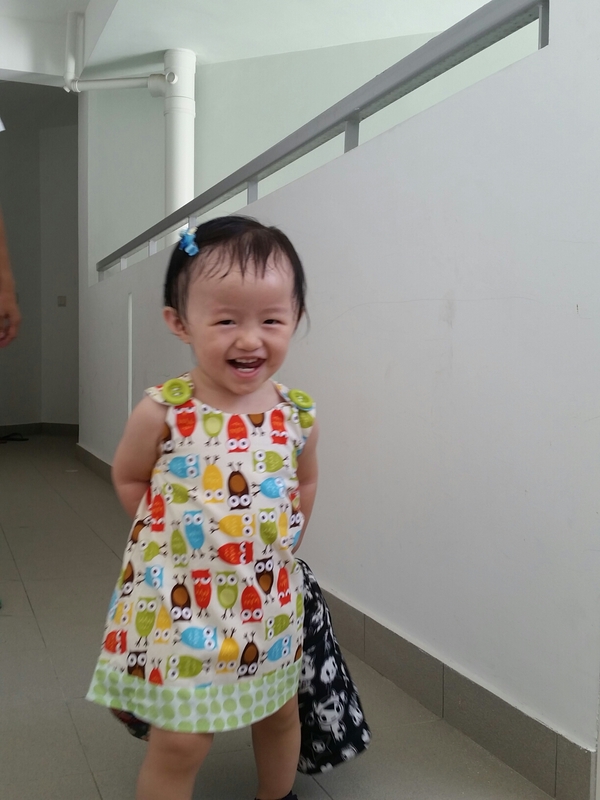 When Little Foot was a few days old, she had some red rashes appear on her eyelids and face. The oldies told me to dab breastmilk on the rashes, so I did. Lo and Behold! The rashes were gone! So I would always pour whatever leftover milk into her bathtub for her baths. I find it helps with dry skin. At one point when (I thought) I was running low on supply, I hurriedly got a local maker, Soapshifu, to do a set of breastmilk soaps for me. 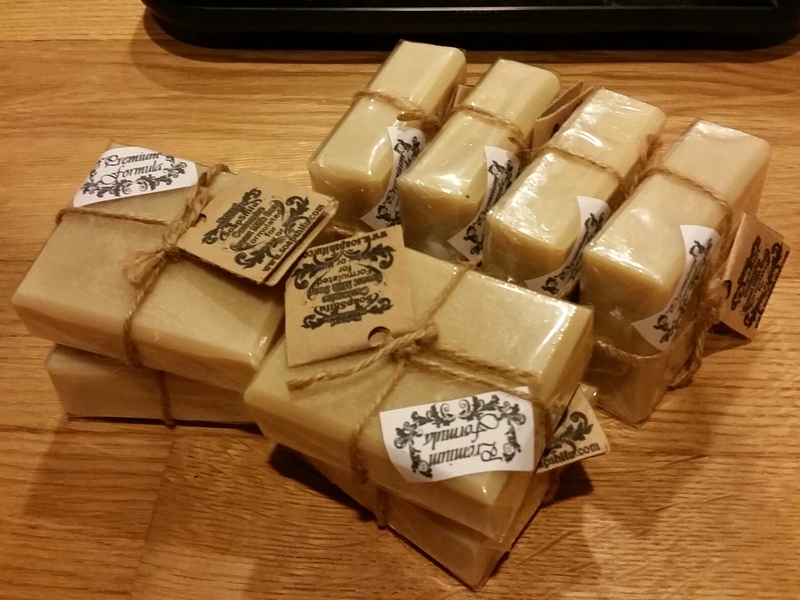 330ml were made into about 1kg of soap, cut and packed nicely into individual packaging. The milk is processed together with essential oils and good stuff like shea butter. All natural. No weird fishy smell from the soap. Smells just like a regular lavender bar soap that is moisturing and gentle enough for baby’s skin. 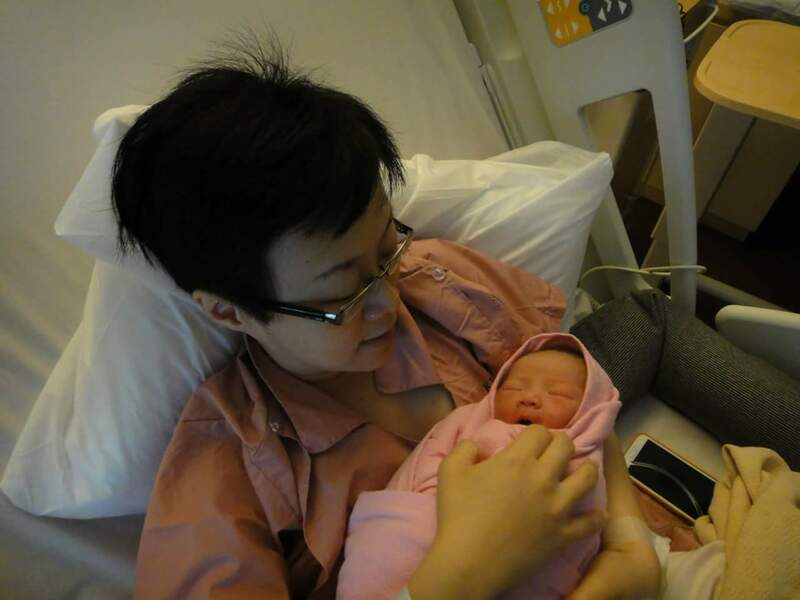 I like that the maker at Soapshifu took a lot of time to answer my questions and was not hard-sell at all.After the sad saga over the breastmilk jewellery, I have become very careful to do my homework before I engage any makers for customisation. One bad experience was enough. In fact, I only knew about this maker through a fellow mummy friend who was raving about it. For mummies, every drop of our milk is precious (especially when you are low supply like me), the last thing you want to have is someone taking your milk and then giving you something that is completely disappointing (or worse, run off with your milk and money! ).So it is good to know that Soapshifu and its products are registered under the Health Sciences Authority. Little Foot has been using the soap daily (together with her usual Mustela/California Babies because that is her signature baby smell that we are so nostalgic about) since Oct last year, and we only just start using the 2nd bar! I find it most useful whenever she breaks into some rash. I know some other mummies may use the breastmilk soaps themselves too, or use for their older kids as well, but nahhhh…. not us. Saving the best for my Little Foot! (Note that Little Foot does not have sensitive skin or any known skin allergies/reactions, so please do your necessary skin tests / err on the side of caution if your baby has sensitive skin). Customising jewellery with Little Foot’s photos from Jules Jewels. Buying S’well bottles for a more chic look to go with the JJB bags. Getting Matchy-match clothes for Little Foot and myself, and also Family matching outfits. Motherhood is serious work, but amidst the craziness and tiredness, we know that the baby phase will pass in the blink of an eye. Doing some of the momentos, and living the moment (albeit a seemingly frivolous one at times) makes it a more interesting and memorable ride. Our breastfeeding journey doesn’t last long too, so if you can afford to spare a few drops, why not make the soaps so the Little One can benefit for a while more even after the supply is cut. Enjoy the journey…Just make sure not to break the bank in the process! P.S. No sponsorship was received, although Papa Long’s had generously contributed to the book, the Taimaobi and 1 Tula. Mummy Joyc is a full-time working mummy, who runs home each day after work, and spends almost all her free time with Little Foot, so she gets her retail therapy online when Little Foot is in dreamland.